Linda Fernandez is a member of Amber Art + Design. For the past 10 years Linda Fernandez‘ work has focused on community engagement, education and advocacy. She has worked as a teacher in the School District of Philadelphia, as a teaching artist and as an arts administrator for community-based youth programs. Recently, she has been spearheading the development of “Hecho en Philly,” a craft market featuring local vendors from the neighborhoods where the markets take place. 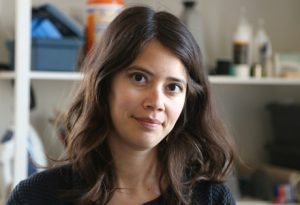 Fernandez earned her bachelor’s degree in art education from the Temple University Tyler School of Art. She is a founding member of Amber Art and Design, an artist collective that engages the public in the creative process.